The first “Avatar” movie, released in 2009 and also shot on Sony professional cameras, shattered box office records with its compelling story, immersive 3D and stunning visuals. These newest entries in the franchise will up the visual ante significantly with enhanced special effects, more elaborate production requirements and challenging live action sequences. While principal photography on the “Avatar” SEQUELS using VENICE is expected to begin first quarter of 2019, performance capture is underway now. The process is supported by a variety of additional Sony imaging technologies including multiple Alpha mirrorless interchangeable lens cameras, PXW-Z450 and PXW-320 camcorders and the compact RX0 camera. The production is also using Sony’s F55 and Alpha cameras to record behind-the-scenes footage and stills. “I’ve enjoyed shooting with Sony CineAlta cameras for 19 years, but I’m really looking forward to shooting Avatar 2 and 3 with the new VENICE camera,” Cameron added. 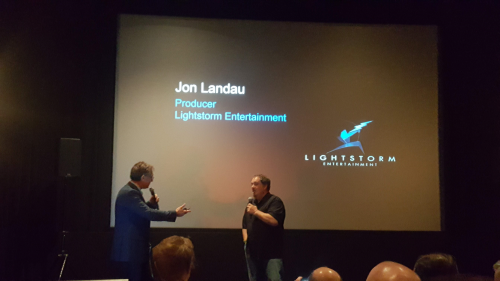 Sony worked closely with Lightstorm to customize VENICE for its specific needs, with regular meetings taking place between James Cameron, his production teams and Sony’s engineering group. The Sony-Lightstorm collaboration began in 1999, resulting in the development of a unique extension system allowing the camera body to detach from the actual image sensor block. A similar approach has been adopted for VENICE, with each sensor and camera body connected by a cable at distances of up to 20 feet with no degradation in image quality. For the upcoming “Avatar” SEQUELS, multiple VENICE cameras will be paired in various 3D stereoscopic rigs. 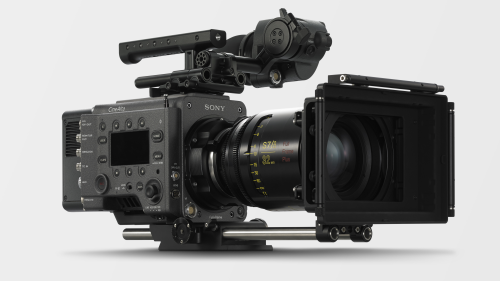 Using the new Sony cabling system, the only part of the VENICE carried on the rig will be the image sensor optical blocks, significantly reducing on-board camera weight to about three pounds per sensor block. By lowering the weight and improving ergonomics, Cameron and the Lightstorm team will have the ability to shoot with greater flexibility and freedom.